Helloooo babes! It's friday, yay! Finally weekend! Today I've been traveling around the world. Nope. I went to Malmö to do an interview with a company where I want to have my next internship (and I got it!) and then I went to Lund to meet Christina (Passionate About Polish, click click) and Emelie. We talked about the three P's. You know, polish, periods and politics! What a great day. 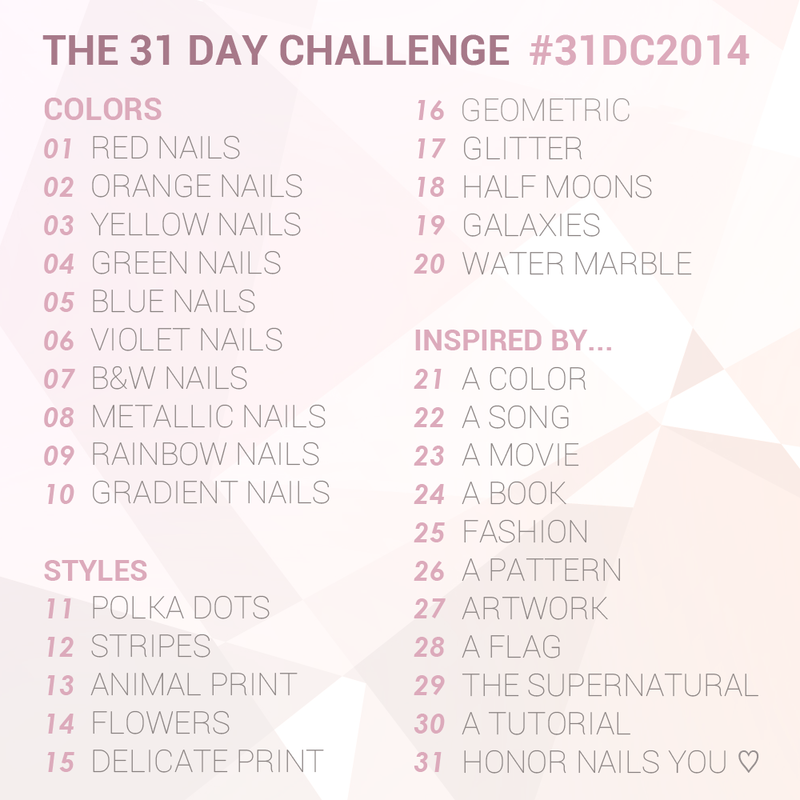 Today is also my third day in the 31 day challenge, so I've been wearing these nails today. Take a look! I've been going bananas aaaall day! 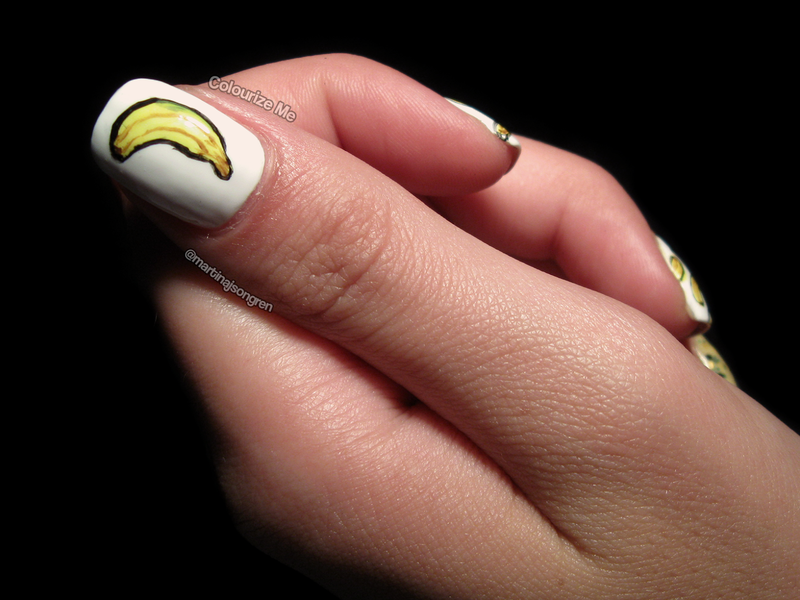 I used acrylic paint for the bananas, 'cause I really want to practice my freehand skills. I've painted my pinkie and my ring finger with two coats of Happy Hands Banana Stand, a beautiful light yellow with matte yellow hex glitter in a medium size and matte green hex glitter in a small size plus brown shiny glitter in a medium size. Application was perfect, no trouble at all. The other three nails have a base of Nordic Cap NP13 and acrylic paint. 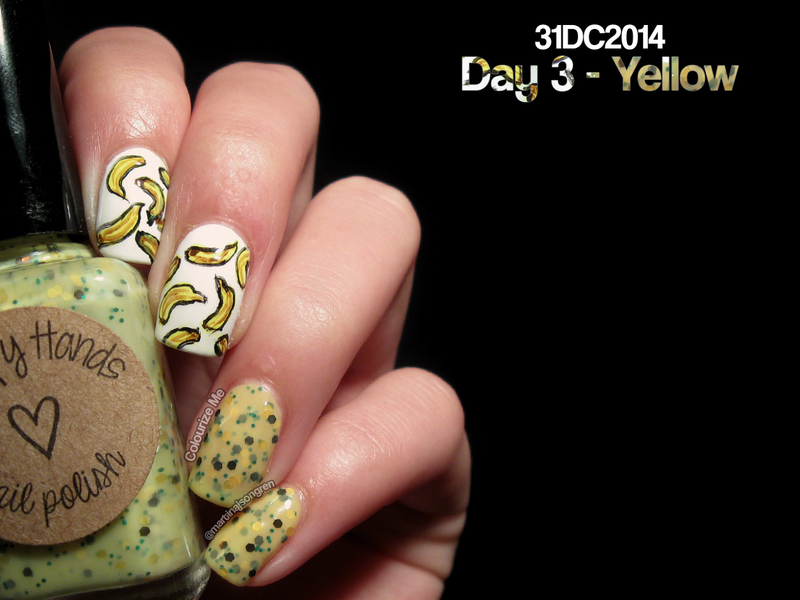 Check out day 3 from last years challenge, click click! Heheh! Vi pratade om de fyra P:na på min ekonomiföreläsning idag. Jag får se till att ej blanda ihop dom :D Tack för en fantastisk dag. Oh girl! 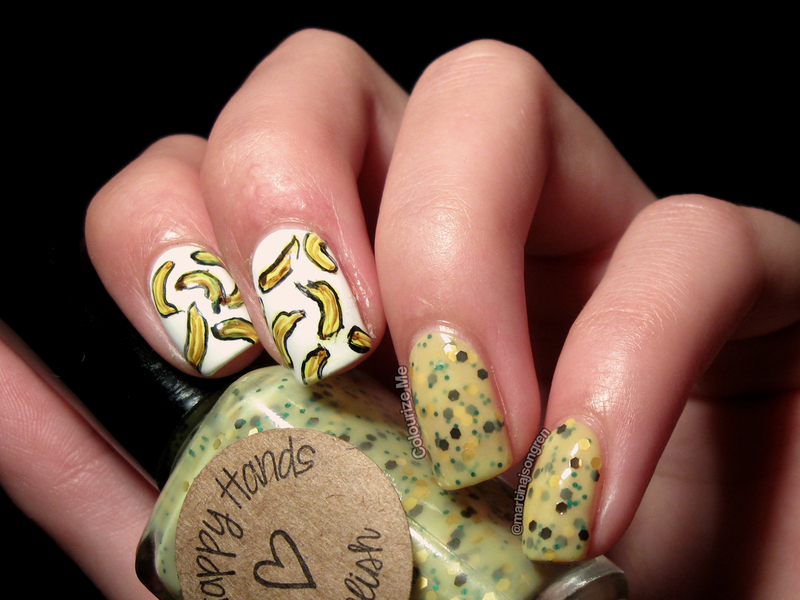 You gone bananas for real this time ;) So in love with this manicure. Think I need to use my Bananastand soon again.